It seems too obvious and trite to write, but at a jazz gig the audience witnesses a unique act of creation, sees musicians discovering how things do (or might) work between them - by actually doing it. In this case an American saxophonist who has not performed in London for seventeen years met a trio of top UK players for a short rehearsal on the day of the gig, and onto the stage they went. And as the evening progressed, the familiarity and the trust built and evolved like a flower gradually opening out. It was fascinating to hear California-born, New York-based Dayna Stephens live for the first time in this context. The opening tunes had a tendency to veer off into abstraction; it felt far more like a Vortex gig than a 606 gig. Then, as the set progressed there was an increasing ease. Stephens has a remarkably communicative face which betrays his every emotion and seems to let the audience into the secret of what he is thinking and what his shifting mood is at any moment. In Along Came Betty which closed the first set, it seemed at last to break out into a joyous smile. The mood of rightness and naturalness carried through the second set in which tunes like Coltrane's Satellite and the classic Body and Soul - with an exuberant and bravura cadenza - came across with scale and heft. Stephens is not a player when settled reverts to vocabulary which a jazz listener will recognize, far from it. In fact he is not one ever to play a hackneyed clichéd phrase. In that sense he is a Coltrane heir, constantly finding unlikely intervals, going off exploring and seeing where his explorations will lead. Stephens had a great trio to support him. Tim Giles on drums is one of the most unobtrusive and subtle yet supportive drummers anywhere. I hadn't heard Calum Gourlay playing for several months and the authority just grows, and his contribution to settling Body and Soul was memorable. Pianist Gareth Williams' listening is so complete, there were several occasions when he would spot one of Stephens' unusually shaped phrases and do the Paul Klee thing, and take a line for a walk. Stephens is such an interesting player. 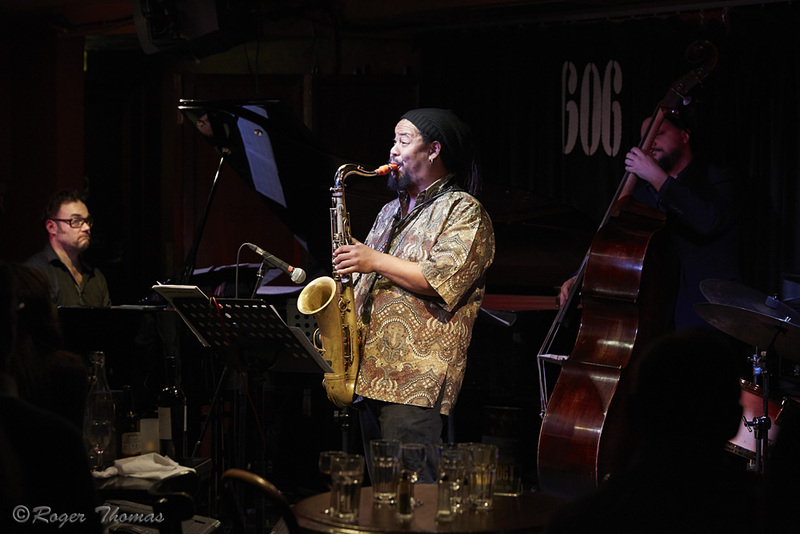 The saxophonist has got over years of illness - kidney dialysis for six years followed by a transplant - and surely he is bound to be back soon, either playing with a UK trio as here, or possibly in his project with Hekselman. Let's hope so.